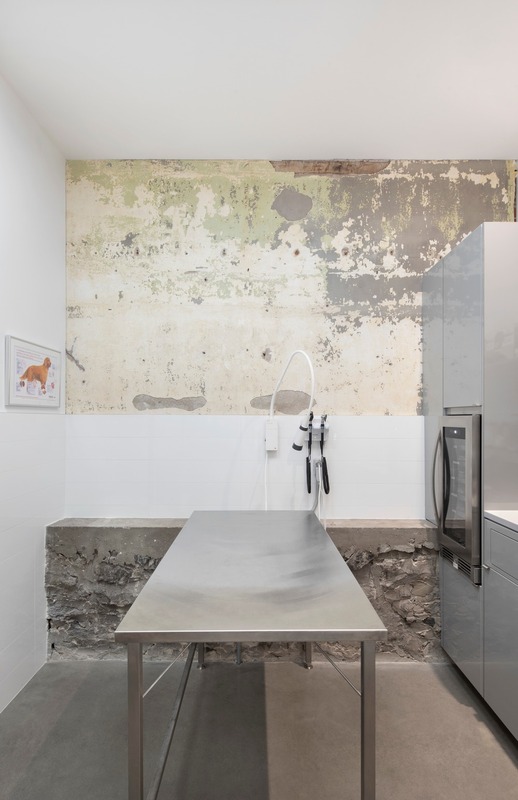 Montréal-based practice TBA/Thomas Balaban Architecte has turned an abandoned photography studio into a sleek veterinarian hospital, emergency clinic, and four residential units. 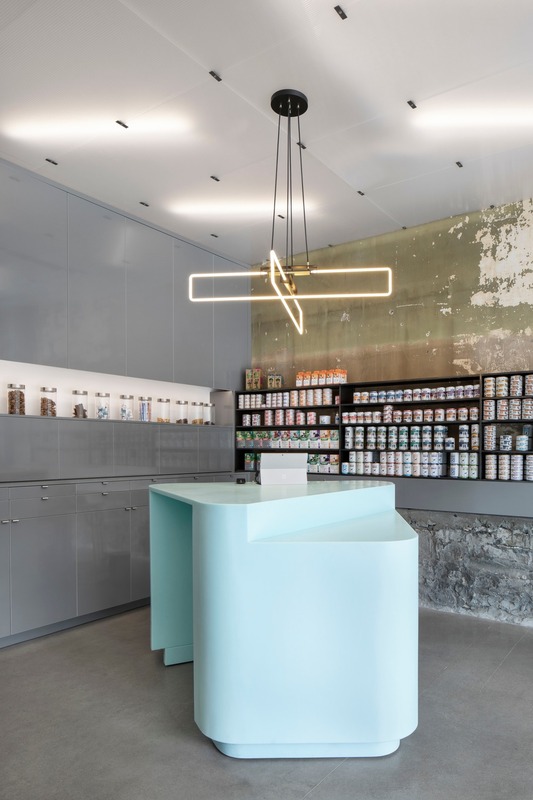 Located in Montréal’s Mile End neighbourhood, the once dilapidated storefront space and dark basement have been transformed into a calming space for pets and their owners, which features a minimal palette and raw materials. 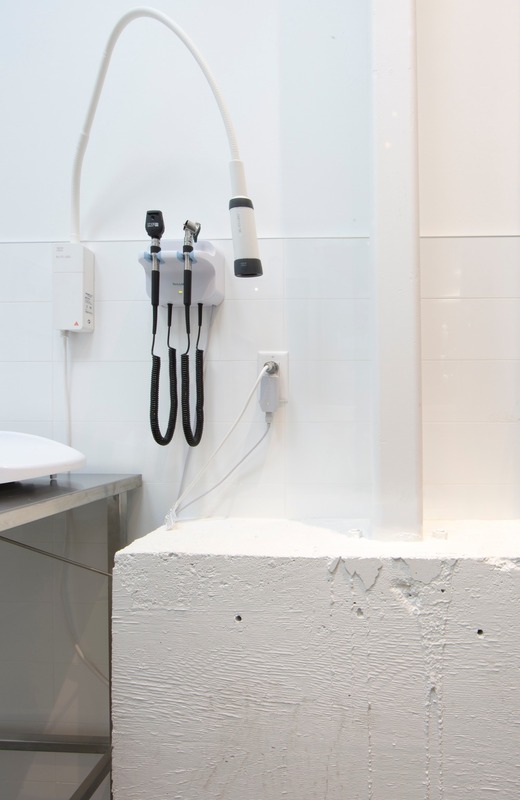 Stone foundations, concrete wainscoting and ceramic tiling protect the lower part of the walls from scratching paws, while a mint green reception desk crowned with a graphic, neon pendant adds an edgy feel. The space is light and bright, with a playful glass floor area that looks down into a grooming area below. Technical spaces are efficiently organised around a central circulation spine, allowing for a spacious reception where animals and owners alike can circulate freely. Glazed partitions seek to ease anxiety and subvert traditional doctors/clients/patients formalities. Above the veterinary clinic sit four residential units and a new rooftop. 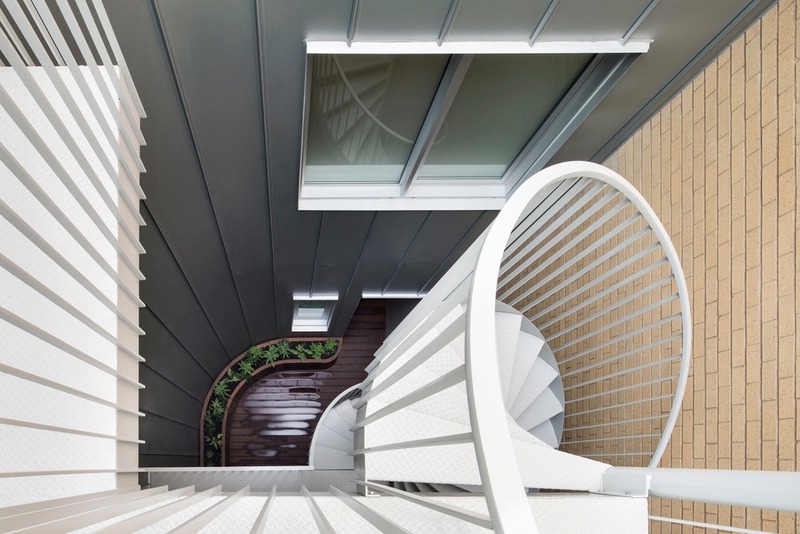 Integral to the design is a central courtyard that funnels natural light into the centre of the structure and provides efficient access and ventilation for all of the residential units. 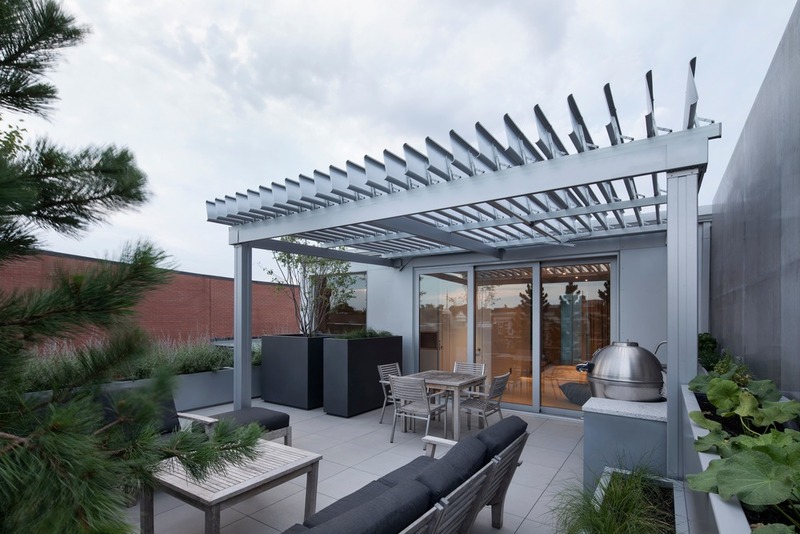 The upper units occupy two floors, with the front unit opening onto a large hidden rooftop terrace overlooking Montreal’s Mount Royal. 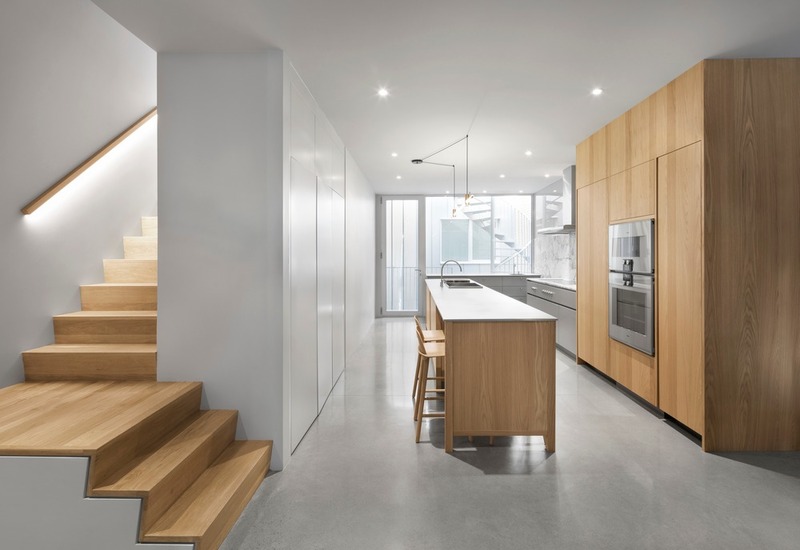 Subtle aluminium details surround windows and doors, while fully glazed balconies are punched into the façade giving tenants added privacy while streamlining the building’s form.